Do your kids love collectibles? Num Noms collectibles? If you answered yes, this post is for them (and you)! Every year I partner with MGA Entertainment for their Toy Box Program in the spring/summer, and in the fall/winter. If you have been around for a while you know I not only get to review the hottest new toys from top brands, but that you get a chance to win what I have reviewed! So here we are, the first of three reviews and giveaways for the 2018 MGA Spring/Summer Toy Box Program. I will also have reviews with giveaways for L.O.L Surprise and Little Tikes coming as soon as I get back from NYC. Bella has a slight addiction to Num Noms. Thankfully Num Noms has a collector’s case to help us keep them contained. We may or may not own a few collector cases – don’t judge her addiction! 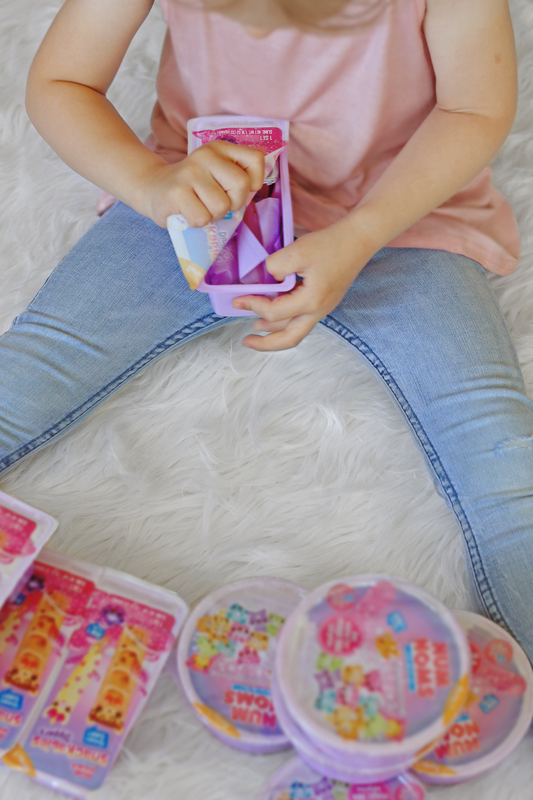 When I saw the newest additions to the Num Noms collectibles, Num Noms Snackables Dippers and Collectible Cereal, I instantly knew that Bella would go crazy for them. 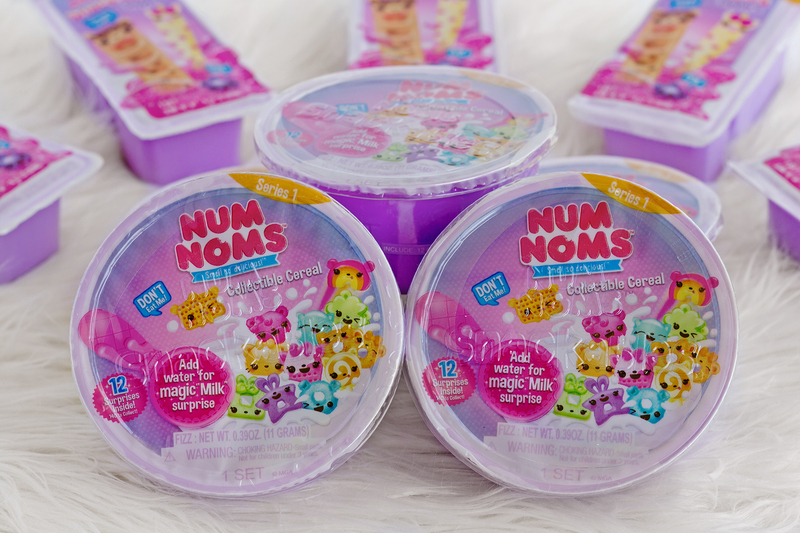 Num Noms Snackables makes playing with your “food” fun! 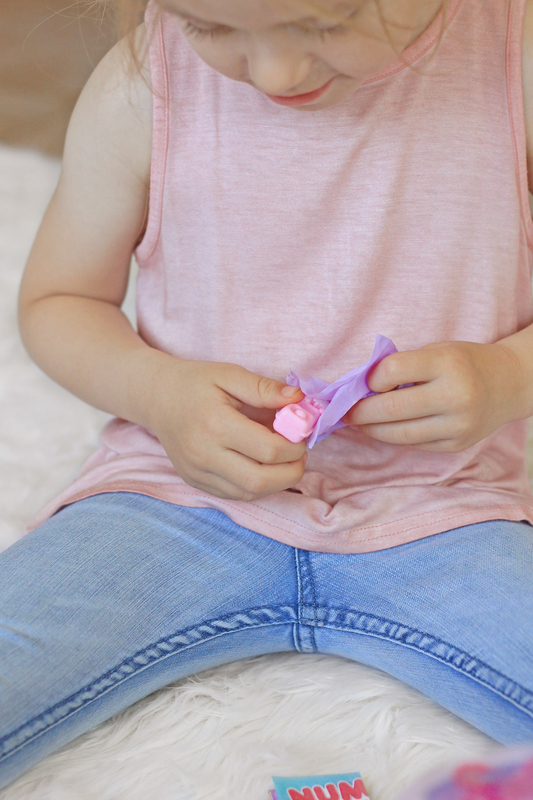 Kids will love unboxing an explosion of scented, bite-sized “snacks.” While they are deliciously cute, they are not edible, so please ensure the kids don’t eat them! 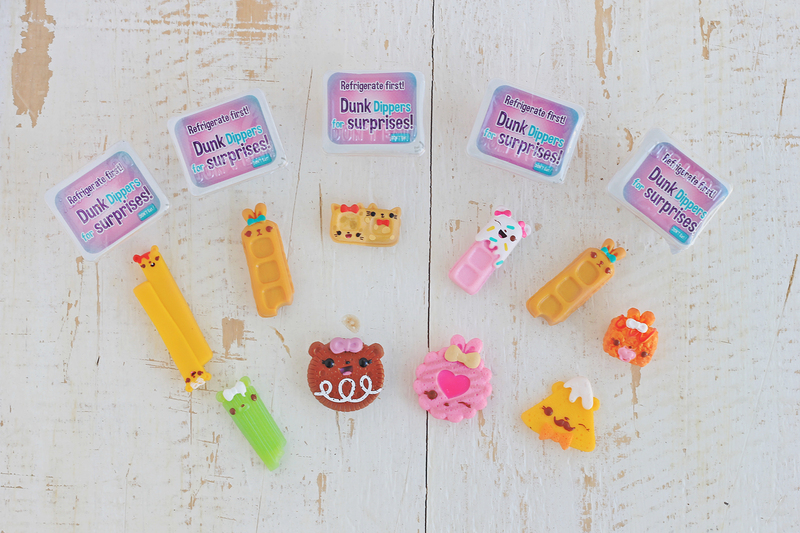 Which scented Num Noms Snackables Dippers and secret sauce combinations will you get? It’s a surprise! Have fun and dig through the secret sauce to find a hidden rare dipper! Then refrigerate your scented, secret sauce and dunk the Big Dippers for a colour-change surprise. The level of suspense when Bella is opening mystery packs is intense! Bella discovered the secret dipping “sauce”, a.k.a SLIME! She was pretty excited about getting slime, and she loved sniffing them to see which scent she got! The fun thing about the secret sauce, after you refrigerate it you can dip your Num Noms Dippers in and there are special surprises like colour changes. The element of surprise in blind bags is strong. Bella loves revealing her mystery Num Noms. This one is Dip & Dunk Shoestrings, fitting since Bella loves french fries! 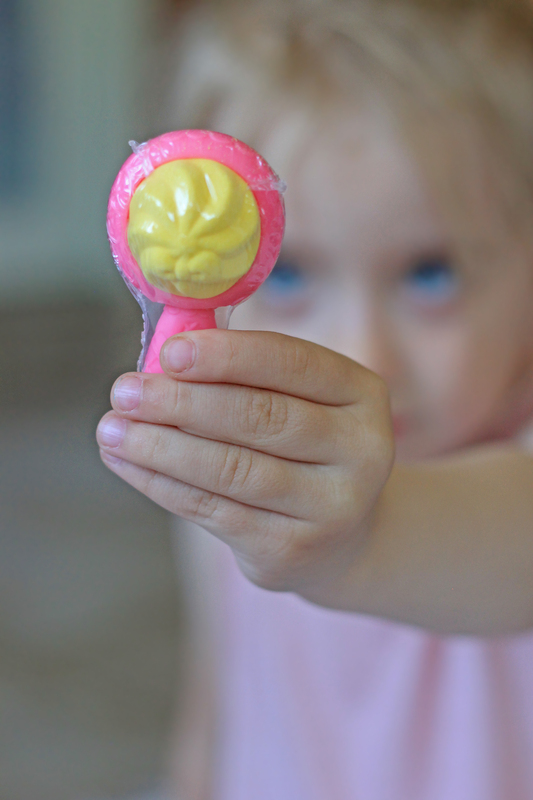 Watch this video to see how fun the new Num Noms Snackables Dippers are! Bella only got one duplicate and a bunch of awesome Num Noms Dippers. She got two Ultra Rare and four Rare! The secret sauce is in the fridge so we don’t yet know what surprise Num Noms Little Dippers she will find in them. Which Num Noms Cereal will you get? It’s a surprise! The magic spoon colour-changes water into “flavoured milk” and hidden inside the spoon is a special edition Num Nom! Hunt for the special edition, colour-changing Cereal Num Noms to collect and reunite all the cereal families. Bella couldn’t wait to open the Num Noms Snackables Collectible Cereal. 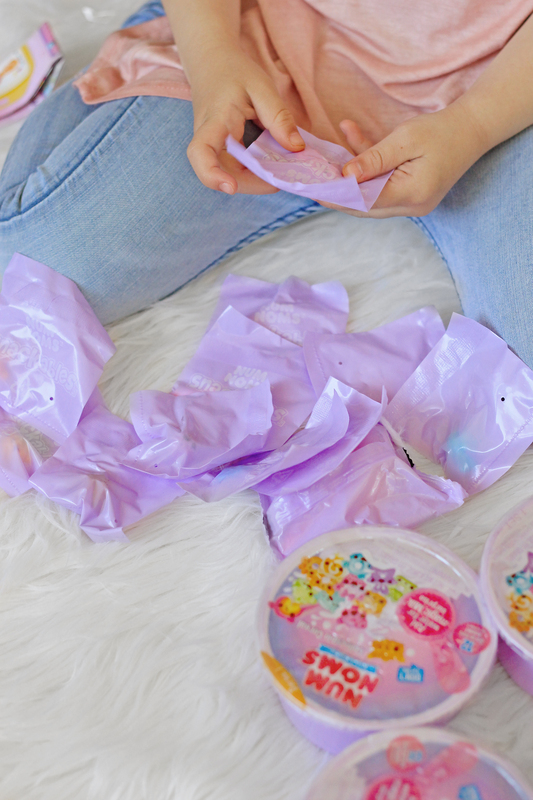 It is jam-packed with a dozen surprises, literally 12 blind bags to open! How cute is Flakey Frances? Frances belongs to the Flakes family of Collectible Cereal Num Noms and is an Ultra Rare! Inside one of the blind bags is the scented magic milk spoon. 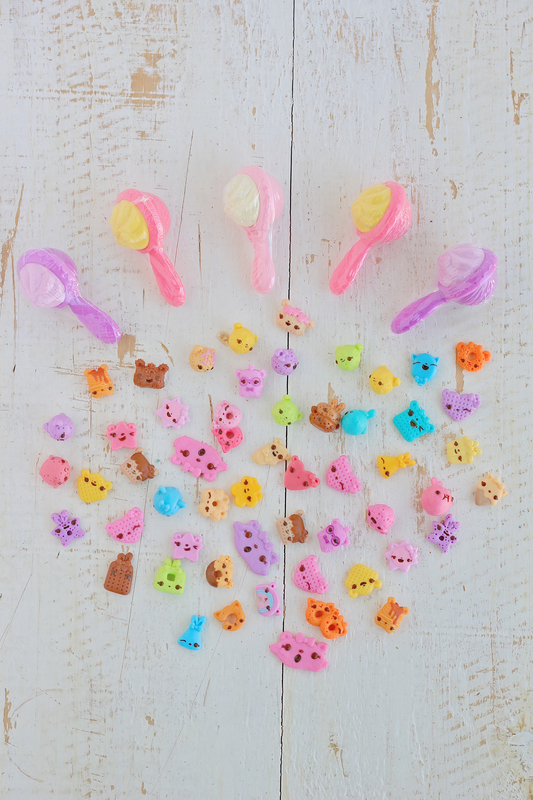 When you put the spoon in water it fizzes to reveal another surprise Num Noms. 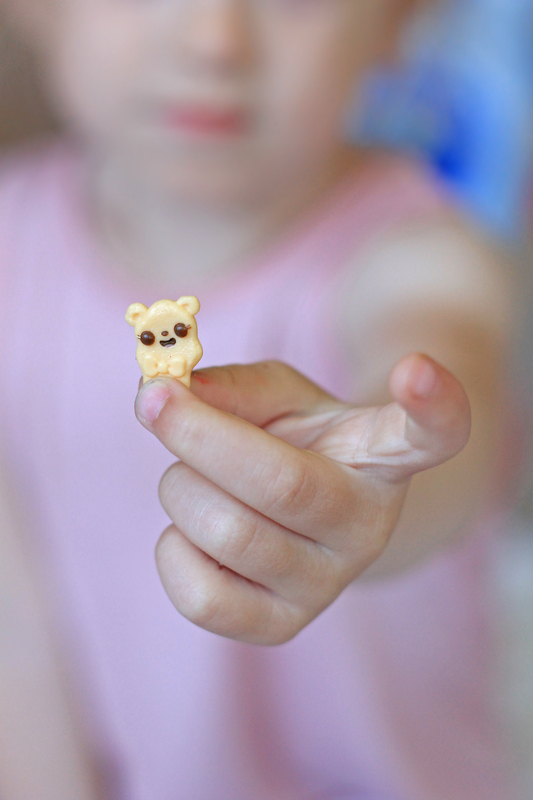 Watch this video to see how fun the new Num Noms Snackables Collectible Cereal are! Bella adores all her new Snackables Collectible Cereal Num Noms. I think we may just need to get another collector’s case to house all her new friends! 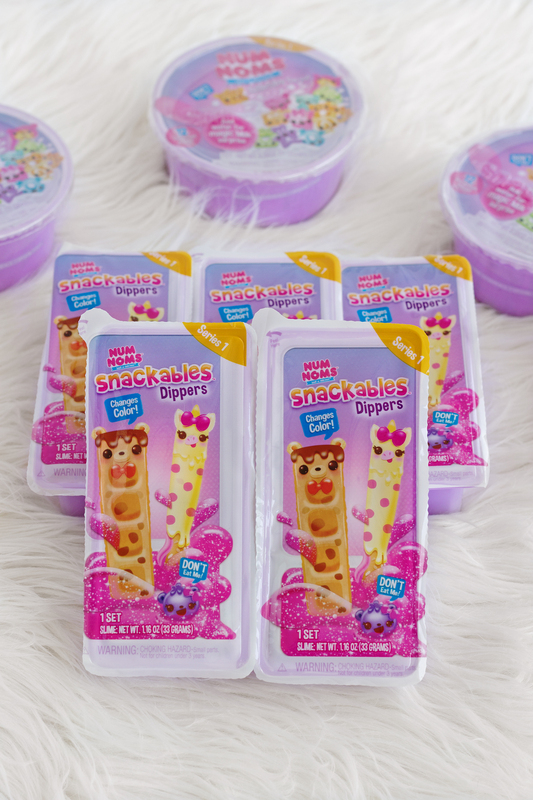 You can find Num Noms Snackables Dippers and Num Noms Snackables Collectible Cereal at Indigo. Stay up-to-date, follow them on Facebook, Instagram, and YouTube! MGA Entertainment has generously sponsored an amazing prize valued at $115.00 CAD, and one lucky reader will be walking away with everything I reviewed in this post! This giveaway will close on June 28, 2018 at 11:59 PM EST. The winner will be drawn from all eligible entries and contacted via email on June 29, 2018. The winner will have 48 hours to respond to the email and claim their prize. If they fail to do so a new winner will be drawn. Stay tuned for our other reviews from the MGA Entertainment 2018 Spring/Summer Toy Box Program for L.O.L Surprise and Little Tikes coming soon! Disclosure: Although we were sent product for review consideration, the opinions and language are all my own, and in no way do they reflect Num Noms or MGA Entertainment. Any product claim, statistic, quote or other representation about a product or service should be verified with the manufacturer, company, provider or party in question. My daughters (3 and 5) would LOVE this! I would love to surprise my granddaughter with these, she would be thrilled to get them, thanks for the chance!! My daughter would freak if we won this! She loves Num noms! My 5-year old twins go crazy for Num Noms! They love blind bags of any kind, they are so much fun! Omg my 3 kids would loveeeeee this! My 4 year old daughter would LOVE these!! 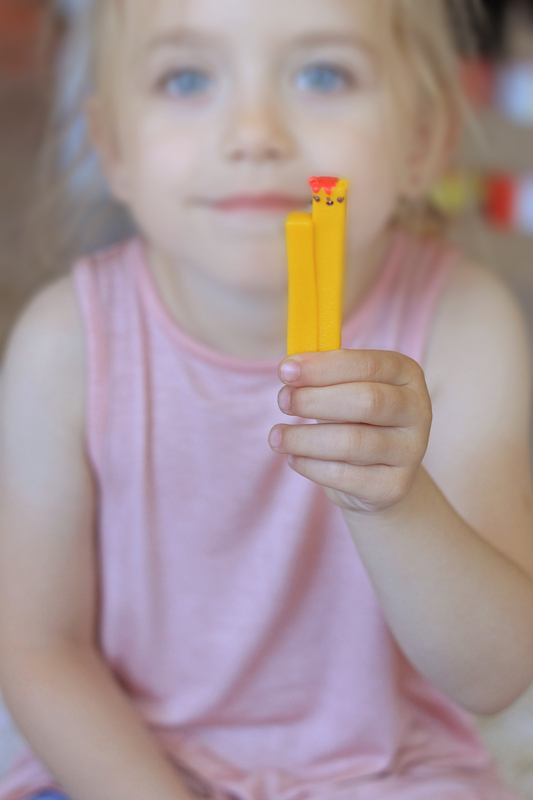 So much fun – my girls would love the dippers! My daughter LOVES Num Noms!! She started out with the ones with the nail polish, then she got a lip gloss one, then the lights Num Noms! She’s been begging me to try the dippers but we haven’t been able to find them! They must be popular, as all the stores seem to be sold out when we go. She’d go NUTS if I won! I would give this to my daughter! She would definitely love this! I would give this to my daughter if I won. She loves Num Noms!! I would give this to my daughter. She loves num noms! My daughter has wanted to try these for a while now! 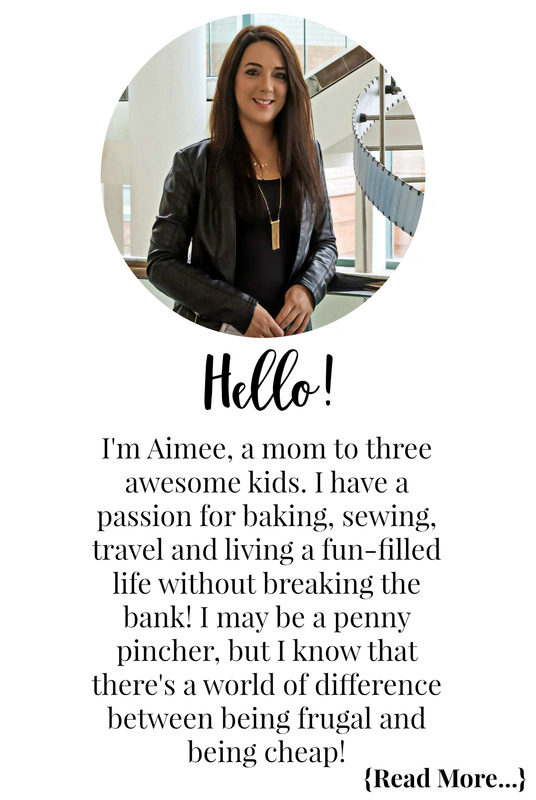 Would love to win the prize pack for her! I would give this to my granddaughters when I win. I would give this to my daughter (who is also named Bella!) if I won. My girls would be thrilled with this prize pack! I would give it to my daughter. She’s think it was fun. I would give it to my daughter. She loves inboxing items and having the newest toys out there 🙂 -which child doesn’t right? I would give it to my daughter if I won. I would give this to my daughters if I won. Love this. My 2 girls 5 and 6 are obsessed with numnoms and i have never seen these before! My son would love these !